Julie and Aisling have never gotten on. When they are bickering one evening after leaving a party, the pair are nearly run down by a strange white horse with a red mane. Upon picking themselves up off the pavement, they find themselves in unfamiliar territory. The entire city seems changed. A merhorse speaks to them of strange events. Three castles for three Queens of the City blaze on the horizon... and they are captured by seagulls and held captive in the Tower of Light. 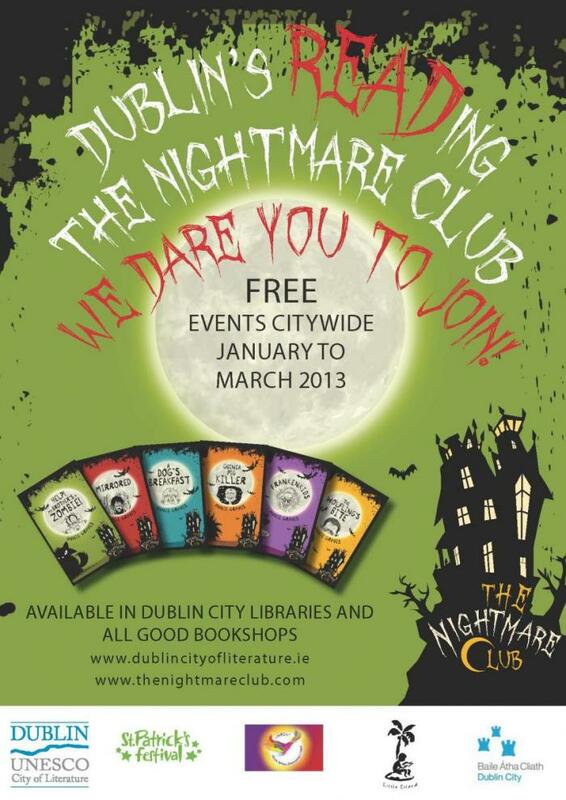 Will they ever find the Wormwood Gate and get back to the Dublin they know? 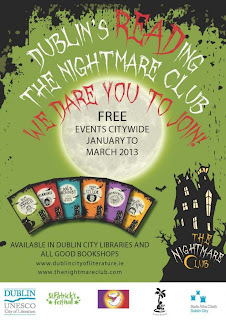 Annie Graves and 'friends' are back with another creepy tale from the Nightmare Club. What would you do if you discovered your babysitter was an actual demon? Another great story from the world of Primrose Leary. Can Prim solve the problems of love, friendship.... and living with her not-at-all cool Dad, Fintan? 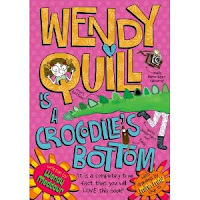 Written with great humour and brilliant characters. 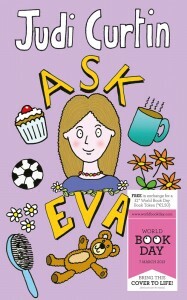 Two new stories from the hugely popular author of Eva's Journey, Eva's Holiday and Leave it to Eva. Yes, Eva Gordon is back, solving problems in her own special way. 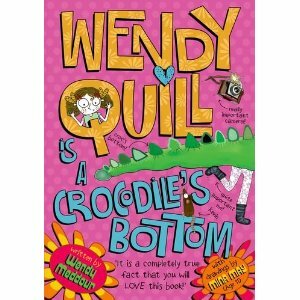 Wendy Quill Is A Crocodile's Bottom! It's also time to give some consideration to the CBI Book of the Year Awards! 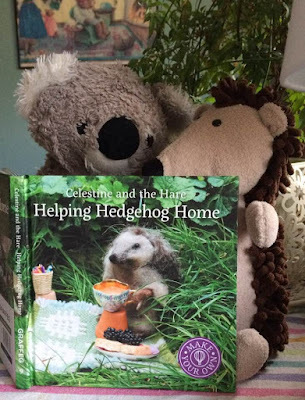 Each year, CBI assembles a panel of experts in the field of childrens' books and these wonderful dedicated people spend A LOT of their time pouring over numerous submissions to determine the best childrens' books published over the last year. Given the quality of submissions, I don't envy these good folks at all. So spare a thought for this hard-working team. Things have certainly been manic around here.... no time to stop and think at all. But I can't neglect to let you know (IF you haven't heard already) that the annual Childrens' Books Ireland conference is coming!!!! That's right; the agenda has been set, the delegates selected and the venue has been booked; so we're all set for a fantastic weekend (May 18th and 19th) filled with the fun and excitement that only childrens' literature can provide. So if you are a childrens' book enthusiast, be sure not to miss this fabulous event, the theme of which is Rebels and Rulebreakers! 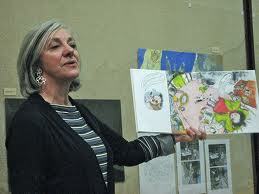 I have just learned of the death of a most wonderful author and illustrator of books for young children. Jan Ormerod has passed away at the age of 66. Her simple and eloquent picture books have touched the lives of many, many children since the publication of the very first one, Sunshine, in 1981. In her latest, Join the Zoo Hullabaloo!, she teamed up once again with illustrator Lindsey Gardiner and expressed the pure joy and laughter of childhood. (This was previously published as The Animal Bop Just Won't Stop.) Her inspiration was always found in her children and her keen observation of their mannerisms and antics, and this always ran through her work. R.I.P., dear Jan. Thank you for the gentle and warm legacy of children's books you left us all.